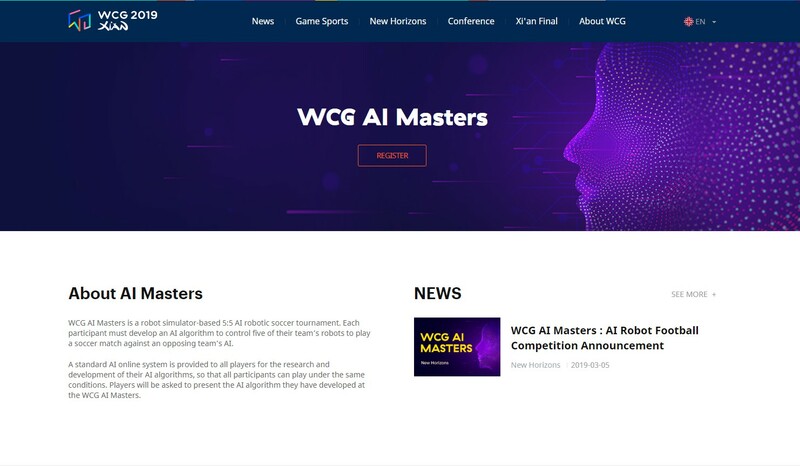 The WCG AI Masters Online System provides the development platform where each participant can develop an AI algorithm to participate in the robot soccer competition. Each participant receives 1 (CPU) or 2 (CPU and GPU) development instances, depending on the strategy chosen: rule-based or deep learning, respectively. Using the instances provided, based on the example codes provided, you can develop a player program in C++ or Python programming languages. You can train or evaluate the performance of your algorithm using the online simulator instance, where it is also possible to control simulation parameters. Section 1 – My Page. Section 2 – Develop my algorithm and Online Simulator. Section 3 – Submit an Implementation. Section 4 – Frequently Asked Questions (FAQ).